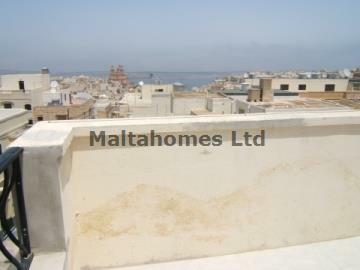 Realistically priced Penthouse, having a front terrace with panoramic views over Mellieha village & bay to Gozo and beyond. The Penthouse is situated on the 4th floor served by lift, accommodation comprising of entrance to Kitchen/Living/Dining area with patio doors to terrace, main bathroom, main bedroom with en-suite shower and a spare bedroom. The property location offers a peaceful and tranquil setting, being situated to the west side of Mellieha, being a 5 minute walk to Mellieha village centre.